Some fun news from me. 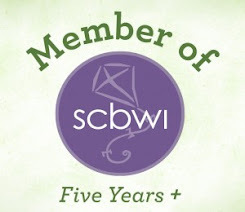 A group of us from the Michigan chapter of SCBWI are starting a middle grade book club. For our first meeting in July, we are going to read the last five Newbery winners. I've read one already, so just four more to go! I've got a little more than a month, so I'm hopeful I will get through them all. As a guide in our discussions, we will be using Reading Like a Writer by Francine Prose. I'm excited for the more in-depth talks on setting, voice, POV, characterizations, etc. A big shout-out goes to Wendy Lawrence for coordinating and hosting our meetings. She has a great blog, too, definitely check it out. www.thefamilythatreadstogether.com.